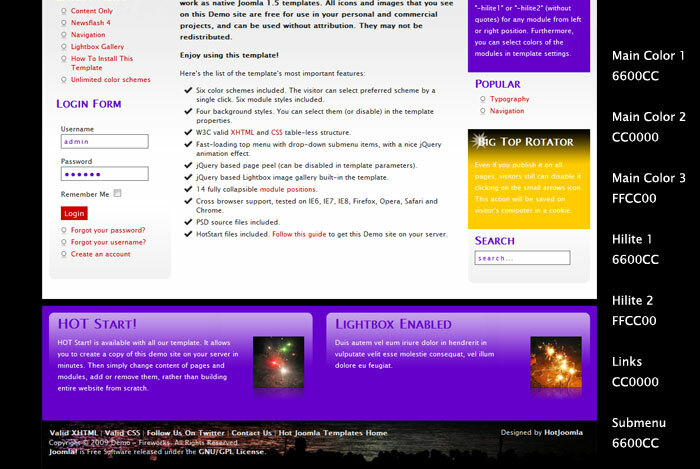 The second commercial Joomla template from Hot Joomla Templates. We are still brand-new template store,but we are growing. Grab this template while it's cheap. 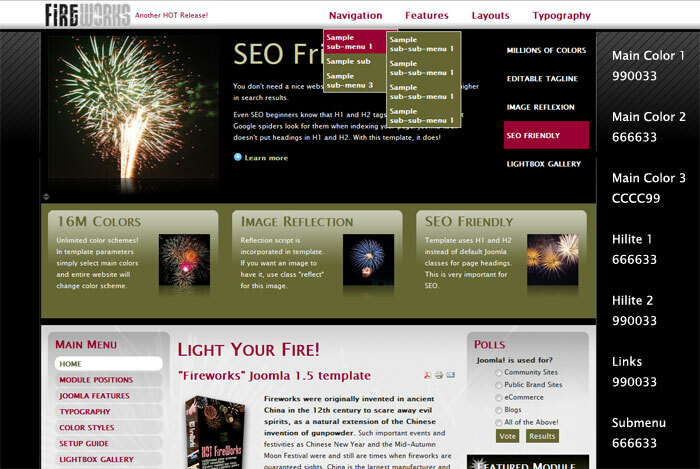 Fireworks template is SEO friendly! 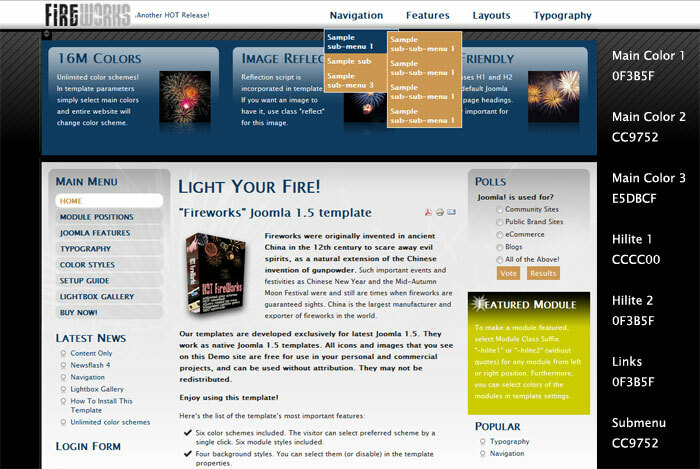 It uses H1 and H2 instead of default Joomla heading tags. It comes with no one, no six, no ten, but UNLIMITED number of color schemes. In template parameters, you can select seven template colors. 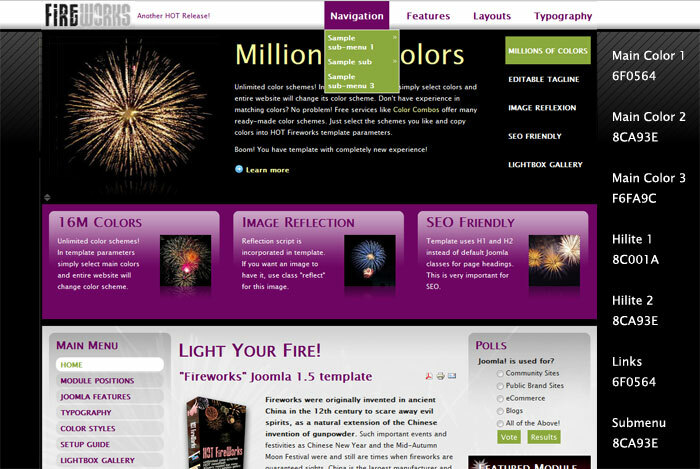 Without any additional work, you will get template with color scheme per your taste. 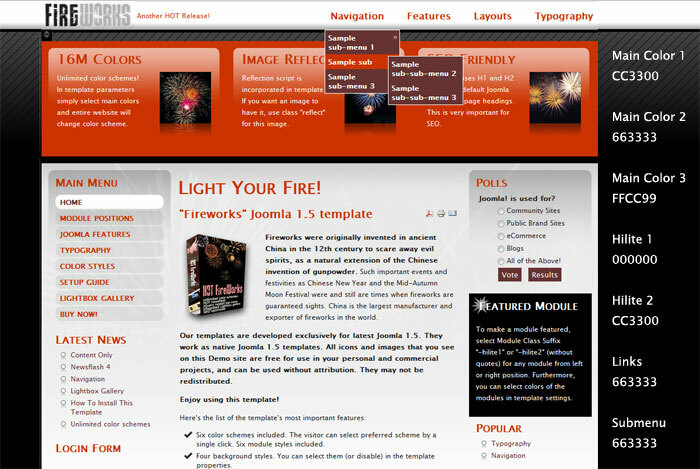 Image reflection and Lightbox gallery scripts are incorporated in this template. Unlimited color schemes. In template parameters, you can select main template colors. Everything will accomodate to your selection, even background images. SEO friendly! 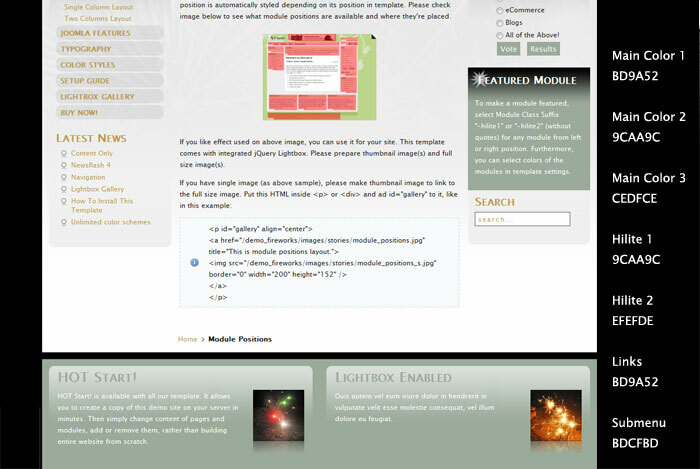 It will place page headings in H1 and H2 tags automatically, instead of Joomla default classes. Joomla core is not hacked. Reflection script with height and opacity parameters for adding reflection effect under pictures. 12 fully collapsible module positions. Cross-browser support, tested on IE6, IE7, IE8, Firefox, Opera, Safari and Chrome. Edit tagline next to logo in template parameters.